MINNEAPOLIS, Minn. — Saint Mary’s University of Minnesota will honor Brad Hewitt, former CEO of Thrivent Financial, with the 2019 Hendrickson Medal for Ethical Leadership at this year’s Hendrickson Forum. The Tuesday, April 16, event, “Weaving the Social Safety Net at Home and Around the World,” is presented by Saint Mary’s Hendrickson Institute for Ethical Leadership and will feature a keynote address by New York Times best-selling author and renowned journalist and political commentator Cokie Roberts. 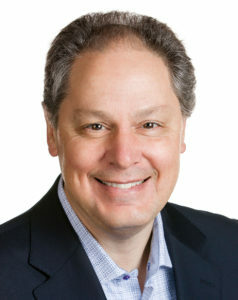 Hewitt joined Thrivent Financial in 2003, was named COO in 2008 and CEO in 2010. Hewitt retired in 2018. In retirement, Hewitt has still found ways to give back to his community. He currently serves as vice chair of the board for Habitat for Humanity International and volunteers as chair of the Itasca Project, an employer-led, cross-sector collaborative group that works to improve the quality of life for all in the Twin Cities. Hewitt also gives his time to Christian nonprofit UpWorks, volunteering as a Life Advocate and helping men who are coming out of addiction or prison get back into society using their God-given talents. Recipients of the Hendrickson Medal for Ethical Leadership have made significant contributions to the Twin Cities community and exhibit ethical leadership that is globally oriented and innovative or creative; citizenship that significantly improves the lives of others’ appreciation for diverse ideas and perspectives; and a commitment to inspiring emerging leaders. Past medal recipients include Rhoda Olsen of Great Clips, Inge Thulin of 3M, Mary Brainerd of HealthPartners, and more. This year’s keynote speaker is Cokie Roberts, New York Times best-selling author and renowned journalist and political commentator for ABC News and NPR. In her more than 40 years in broadcasting, Roberts has won many awards, including three Emmys. Inducted into the Broadcasting and Cable Hall of Fame, she was cited by the American Women in Radio and Television as one of the 50 greatest women in the history of broadcasting. Additionally, Roberts has written six New York Times best-sellers, most dealing with the roles of women in U.S. history. The Hendrickson Forum is a luncheon event, held this year on Tuesday, April 16, from 11:30 a.m. to 1:15 p.m., with check-in and networking beginning at 11 a.m., at the Saint Mary’s University Center on the Saint Mary’s University of Minnesota Twin Cities Campus on Park Avenue in Minneapolis. The event is open to the public and general admission tickets are $50 per person, which includes lunch. Advance registration is required. More information and online registration are available at smumn.edu/HendricksonForum. The Hendrickson Institute for Ethical Leadership is an educational enterprise of Saint Mary’s University of Minnesota and serves as an educational and transformational resource to the community. Founded in 1994 and located in Minneapolis on the Twin Cities Campus of Saint Mary’s University of Minnesota, the institute serves both current and emerging leaders. It is an academic resource for Saint Mary’s University of Minnesota and the community, and a forum for exploration of ethical issues. As part of its mission, the institute provides programs that encourage and develop ethical, globally oriented leaders, offers integrative leadership models, promotes ethical principles that are practical, and infuses leaders with an appreciation of spirituality and free enterprise. For additional information, visit smumn.edu/HendricksonInstitute.